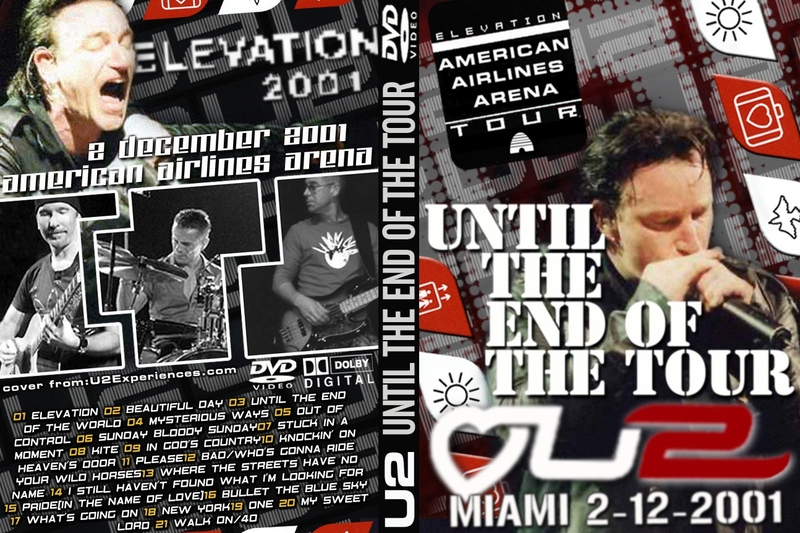 This is a great 2 cam mix of the closing night of the highly successful Elevation tour, 2 hours long, with super steady camera work and great closeups. IEM sound was supplied for this project so sound quality is near soundboard quality. There is an older 2 cam of this show floating around, this is the new improved PC authored version with chapters and menu's. file size is 3.5 gigs. Both Cams are DV, i am not sure what cams were used tho, DVD created from DV clones using Vegas 4.0.